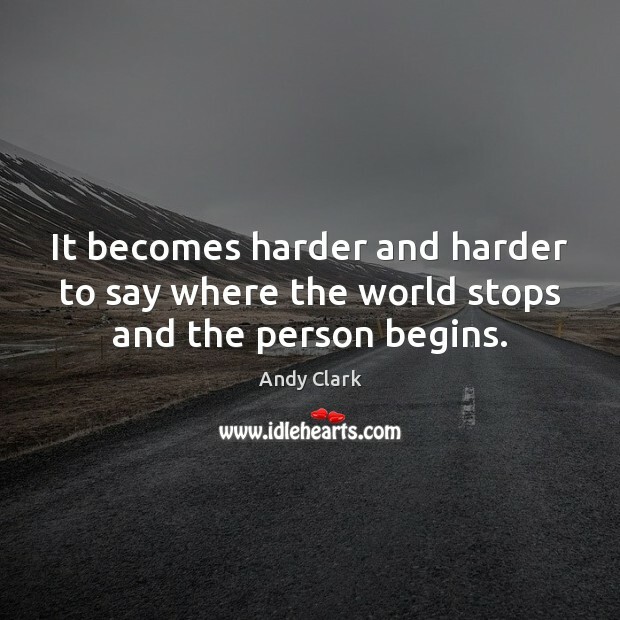 Enjoy the best inspirational, motivational, positive, funny and famous quotes by Andy Clark. Use words and picture quotations to push forward and inspire you keep going in life! We humans have indeed always been adept at dovetailing our minds and skills to the shape of our current tools and aids. 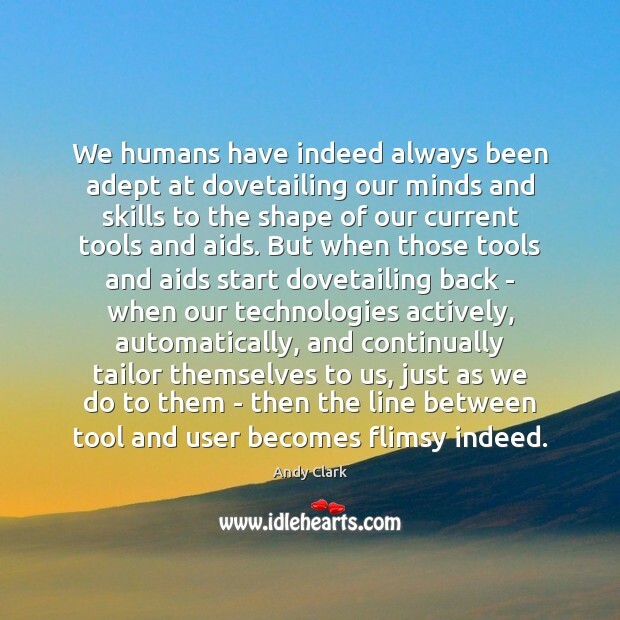 But when those tools and aids start dovetailing back - when our technologies actively, automatically, and continually tailor themselves to us, just as we do to them - then the line between tool and user becomes flimsy indeed. It becomes harder and harder to say where the world stops and the person begins. 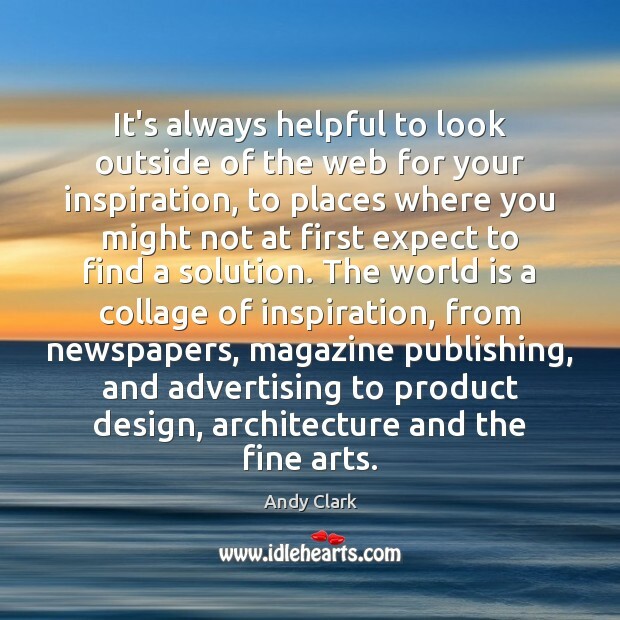 It's always helpful to look outside of the web for your inspiration, to places where you might not at first expect to find a solution. The world is a collage of inspiration, from newspapers, magazine publishing, and advertising to product design, architecture and the fine arts.